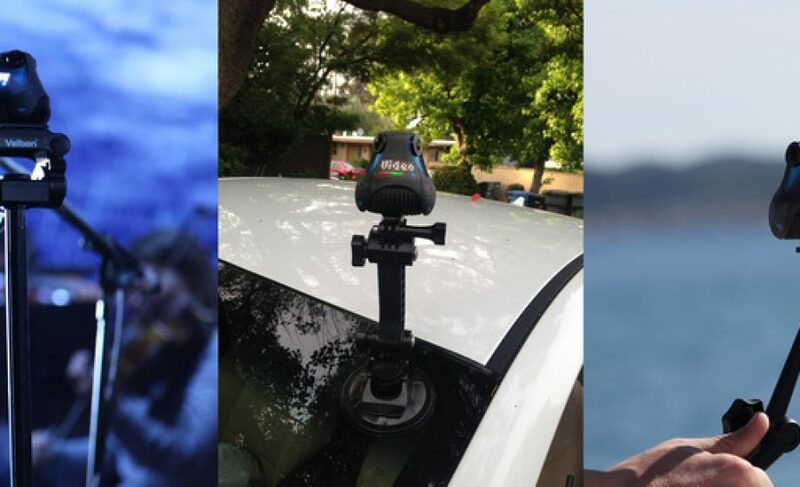 Lille-based Giroptic is on its way to break the record for largest French Kickstarter campaign, with just 24 days to go and $1 Million contributed for its 360° HD Camera. The campaign is inching ahead of Lima, which raised $1.2 Million last September, and it owes much of its success to its predescessors, who have paved the way for French hardware campaigns (iSketchnote, Kolibree, to name a few). I sat down with campaign co-founder & CEO Richard Ollier earlier this week to talk with him about the amazing success he’s had. The campaign will reach well over 3,000 backers (read: customers), and will enable the team to hire and, likely, raise money (Ollier mentioned a few VCs have reached out for serious discussion, which makes sense given Partech’s recent investment in Lima). One of the most interesting aspects of Giroptic is that it has been around for quite some time – at least the technology that allows the 360Cam to process and stitch images together has. Giroptic’s 10-person team based in Euratechnologies in Lille had been working with a major French sporting goods store for years, trying to get their technology on the shelves – a sort of GoPro competitor, marketed to extreme sportsman. The project had been stalling, despite having gone with the retailer twice to CES to show prototypes, and Ollier realized it was now or never if Giroptic was going to keep going. Ollier wouldn’t share the details, but it seems that their licensing agreement with the major retailer, who is currently marketing its own similar product after the campaign’s launch, allowed them to still use their technology elsewhere – they must not have counted on Ollier getting out from under their thumb, let alone Kickstarting a $1 Million+ product. Ollier spent $100K on his Kickstarter campaign – $50K to adapt the technology to a full-fledged product, $50K to marketing – and in May he let his campaign loose. In 2 weeks, Ollier saw more money coming in than his contract with a retailer had brought him in 2 1/2 years – and it keeps pouring in. Various media have brought in spikes of money – $45K the day their Techcrunch article broke, for example. For his campaign, Ollier says roughly (exact stats are available at the end of the campaign) 50% come from the US, while another 25-30% come from Japan – two markets his retailer isn’t present in. Giroptic has promised to ship in just 5 months, a necessary promise at a time where campaigns like Lima & Tile are criticized for their lengthy delays in shipments. Giroptic has already industrialized most of the product technology – unlike other campaigns, they just needed the money to get shipping. Ollier’s experience underscores how hardware is following the same path as software – the power-shift between major software companies and startups, looking back, looks very similar to how crowd-funding has changed the way hardware startups play with major retailers. Ollier will still eventually use distributors, of course; however, as he said, the power balance has been inverted, when you bring a product with thousands of customers vs. a product with 0. A link to the campaign would be nice! It wont be long before an Open Street View, thanks to Giroptic.